We couldn’t think of a better way to spend your time in Miami than in a luxury convertible. Let the top down while you cruise through South Beach in some of the most luxurious cars in the world. We have a large selection of luxury cars for rent. You’ll feel like a celebrity inside one of our convertible luxury sports cars. Arrive in a stylish convertible automobile to your next event or special occasion. Life is short experience Miami in a whole new way. FREE delivery to Miami International Airport. Style, Class, and Comfort all in one package select a luxury convertible below. Our customers are the best that’s why they deserve to drive Miami’s best luxury cars. 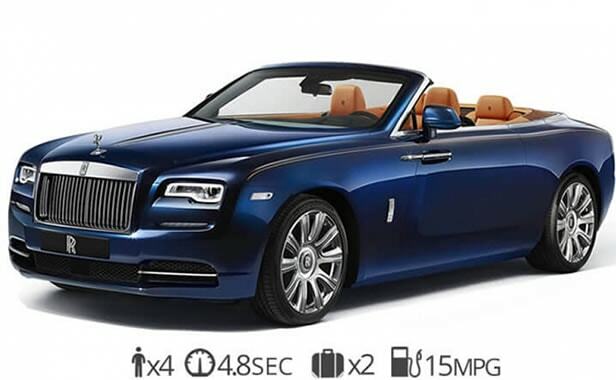 Rent the latest Rolls-Royce convertible in Miami. Our Royce-Royce Dawn rental service is now available for one day or weekend rentals. Hire the Rolls Royce Dawn for your Wedding, Prom or any special event. We offer FREE delivery to Miami international airport with any rental. If you’re staying anywhere else in South Florida such as Miami Beach we can send a driver to go pick you up at no additional cost. For long-term Rolls-Royce rentals, give us a call we offer special deals and discounts. Another great option for luxury convertible rental is the Continental GTC. 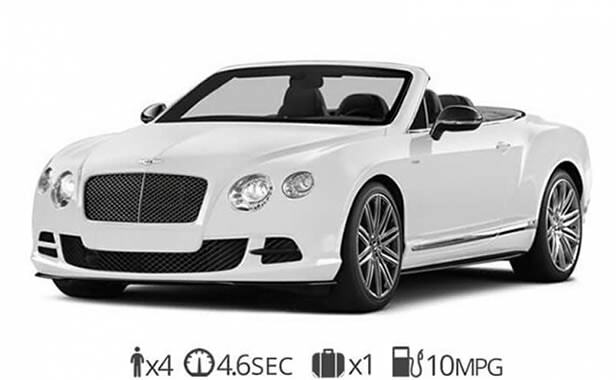 Rent a Bentley GTC in Miami and experience a high-performance car that rides smooth. Inside the GTC you’ll find the finest hand-stitched leather and veneer finishes. The Bentley GTC seats 4 passengers although the back is a little tight. Rent a Bentley Miami today! We offer short term and long term rental deals on the GTC as well as one-day rentals. Call us today for premium convertible luxury rentals. 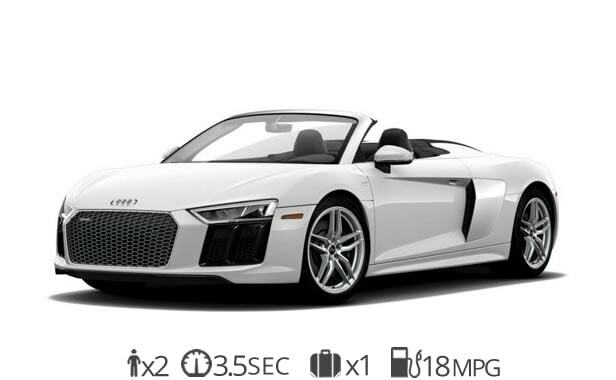 Rent an Audi R8 Spyder the next time your visiting Miami. We are the premier exotic car rental service in South Florida. The R8 is A popular choice for luxury convertible rentals in Miami Beach. It can seat 2 passengers comfortably and also has room in the trunk for luggage. Explore Miami in one of the coolest Audi rentals. If you’re looking for a convertible to enjoy this weekend then the R8 is a great option. The S550 convertible is a beautiful new addition to our Mercedes-Benz rental selection. It is a comfortable luxury convertible for rent in Miami. The S550 cabriolet has space for 4 people and plenty of room for luggage. Inside you’ll find one of the most beautiful interiors in its class. A great convertible to rent when visiting Miami with your family or friends. 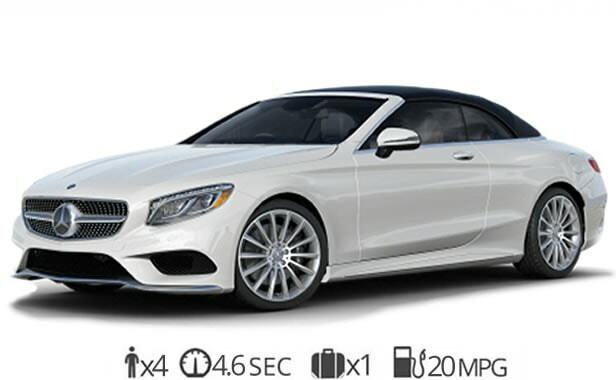 If you’re looking for a convertible Mercedes-Benz the S550 cabriolet is a great option. The Jaguar F-Type is the latest convertible car from the British manufacturer. It is a great option in our exotic car rental offering. 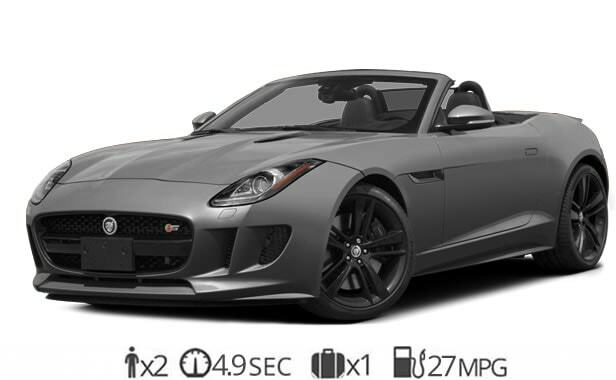 The F-type comes equipped with a 340 hp, 3.0‑liter Supercharged V6 engine that provides pure driving enjoyment. Get behind the wheel of your favorite sports cars today. As with all of the luxury convertible rental cars, we offer FREE delivery to Miami International Airport. Ready to rent a luxury convertible?